Soneva in Aqua . Kunfunadhoo Island . Baa Atoll . Maldives . 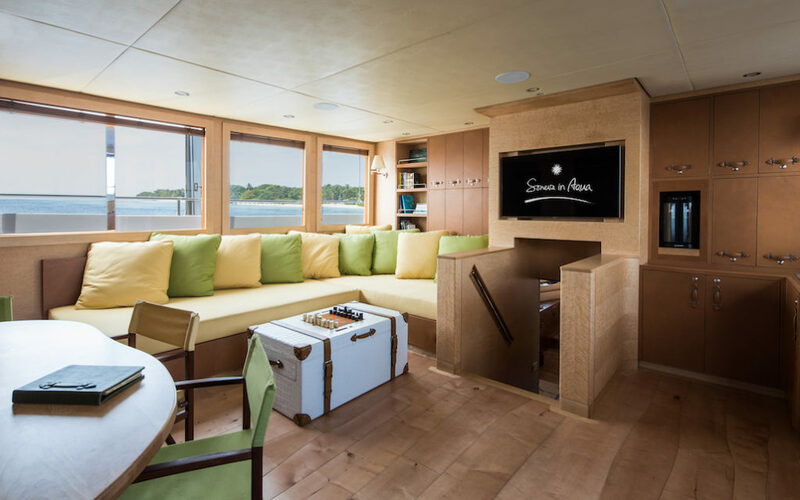 An ultra-luxury and highly refined yacht, Soneva in Aqua measures 75 feet in length and 21 feet in width, with exceptionally spacious interiors. 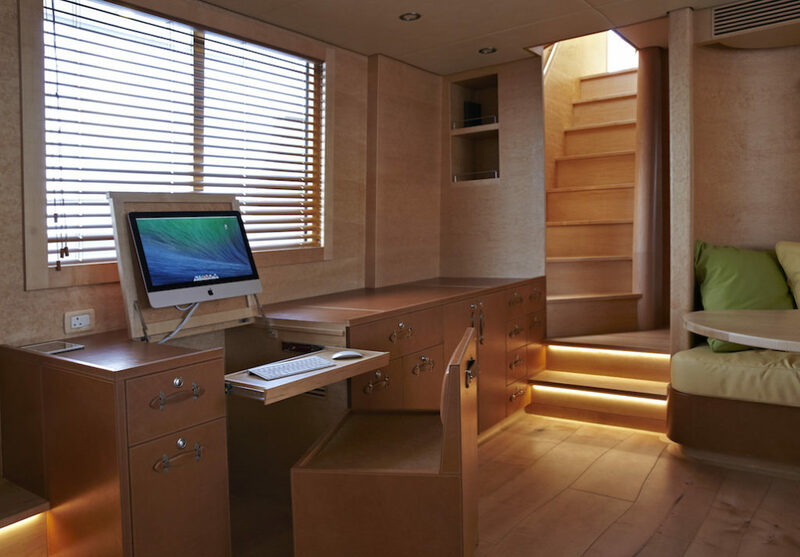 Highlights of the yacht include spacious decks with daybeds and dining areas, an outdoor Jacuzzi, and a glass-bottomed Jacuzzi in the master bedroom. Highly skilled and trained crew on board includes a Captain, a Sous Chef, a Mr Friday (butler), a Dive Master, a Therapist and an Astronomer (on request). 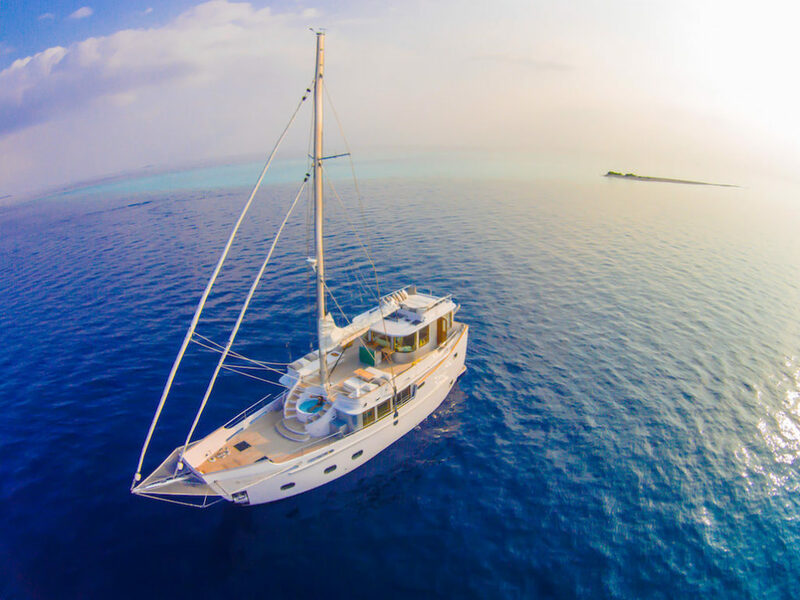 The boat can be chartered for one, two, three and seven night adventures to explore the untouched beauty of far-flung Maldivian atolls. 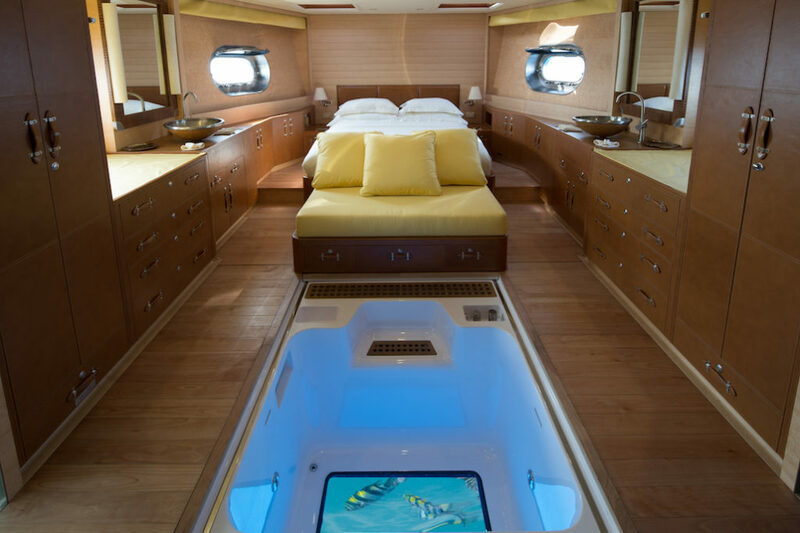 The two-cabin yacht combines Soneva’s iconic barefoot luxury with a sense of freedom and exclusivity of a private boat charter, while being at the price-point of a two-bedroom villa at Soneva Fushi. 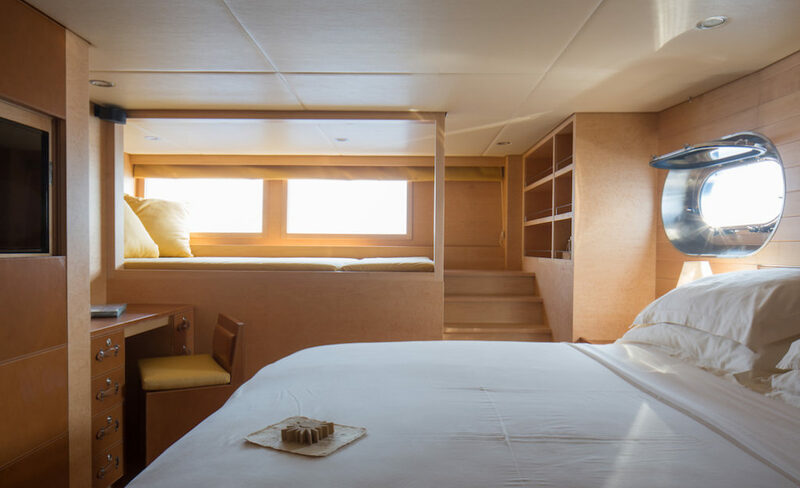 Soneva in Aqua, the pioneering new concept of experiential luxury, is now sailing from its flagship resort, Soneva Fushi.